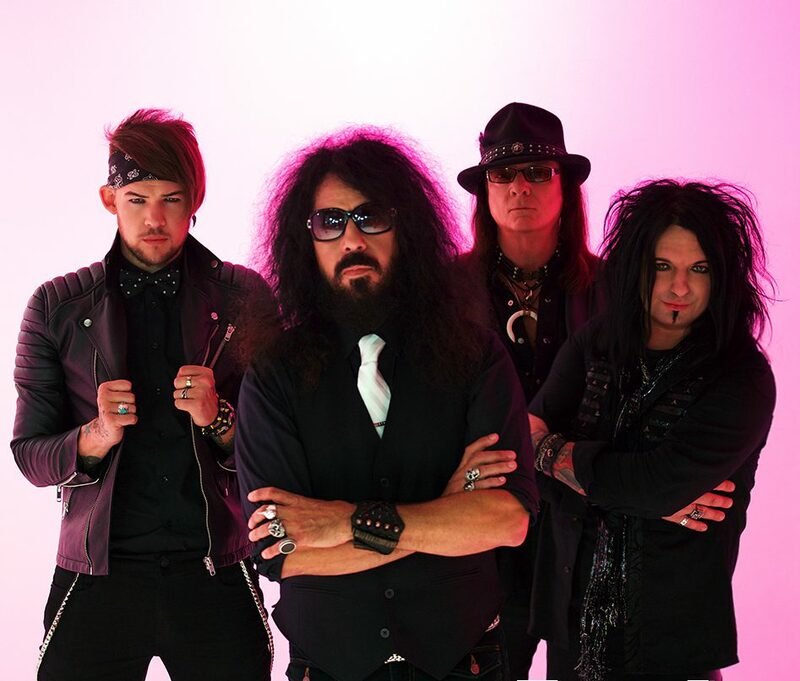 In today’s lesson on Rock & Roll Evolution 101, we find Quiet Riot, the once quasi-notorious, eighties glam-metal band re-imagined for 2017 as a swaggering, super-tight, blues-based rock outfit in the style of, say, The Black Crowes, Blackstone Cherry, and other bands that may or may not have the word ‘Black’ in their name. It’s been ten years since the tragic death of Quiet Riot’s original, inimitable front man, Kevin Dubrow, and in that time the Sunset Strip legends have also parted ways with guitarist Carlos Cavazo and bassist-hunk Rudy Szarzo, leaving powerhouse drummer Frankie Banali as sole survivor of the band’s classic line-up. They aren’t very sentimental in Hollywood. But if anyone has earned the right to reinvent this band, it’s Banali, who is playing better than ever, and looking ten years younger today than he did when I met him in person in 2001. Amazing. Banali’s fellow Riot-eers are veteran bassist Chuck Wright, guitarist Alex Grossi, and new vocalist James Durbin, who might look familiar to you because he wailed his way to a fourth-place finish in the 2011 season of…wait for it…American Idol! See, Adam Lambert isn’t the only AI alum with the nads to front a classic rock band, I tells ya. Aurally, “Can’t Get Enough” gains momentum right out of the gate, with Durbin delivering a familiar vocal hook borrowed from Foo Fighters “Learn to Fly,“ and rapid-fire lyrics about the irresistible appeal of life on the road, rocking our for the fans — because Quiet Riot sings about what it knows. Bang Your Head, again! Visually, this is a classic performance piece which keeps you entertained with a few changes in scenario; from a pleasingly pink-lit studio to everyone’s’ favorite outdoor venue: under a freeway overpass somewhere in LA. Certain things should never change. “Can’t Get Enough” can be found on Quiet Riot’s new album, Road Rage, due out later this week on August 4th, 2017, via Frontiers Music SRL. Enjoy!